We're leaving Kobe today, but not without a proper Kansai Riders sendoff! 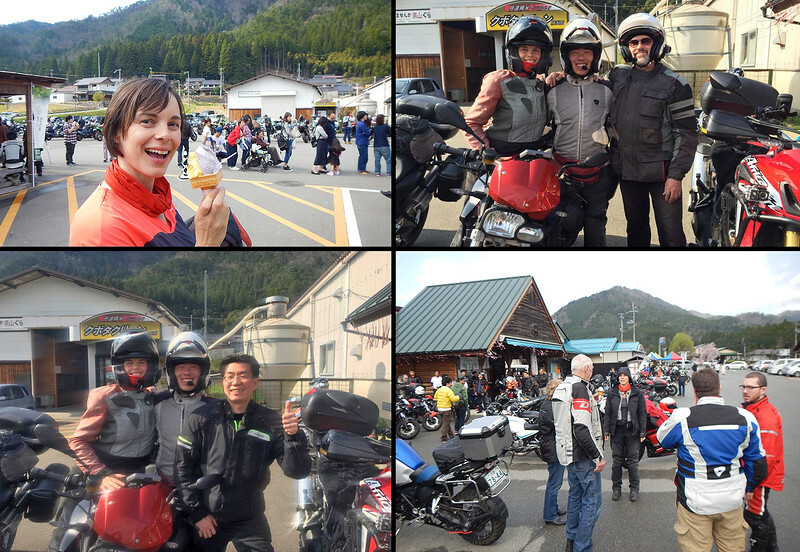 We're so looking forward to riding with other people! Robin leads us to a restaurant called Louisiana Momma, just outside Kyoto. 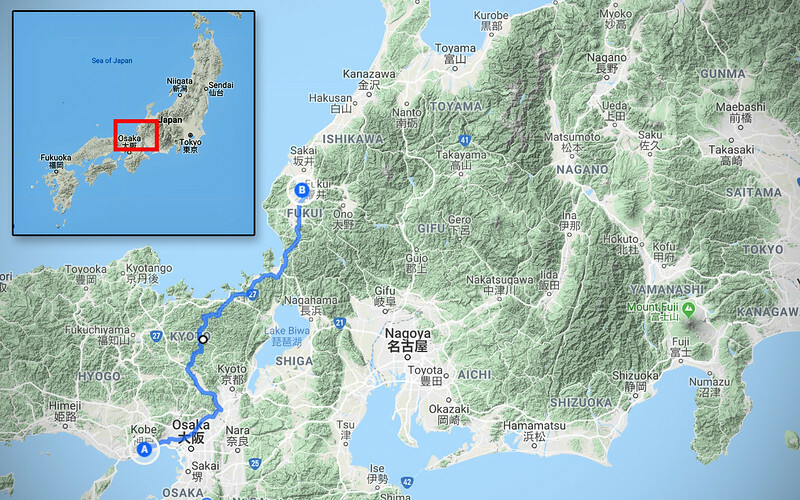 This is where we are meeting up with the Kansai Riders, at least those who could get out for a ride today. We recognize a couple of people from our presentation the night before. Inside, there was a section already reserved for us and we took our seats and got introduced to the guys we hadn't met yet. The waiter came to take our order. I couldn't understand a single thing the waiter was saying to me. In the restaurant, the group asks us where Neda and I are headed, then they put their heads together to plan a nice route that'll take us on our way. Then at a certain point, they'll stop, say goodbye and turn around and head back home, while we continue onwards. Sounds like a perfect sendoff! Neda is itching to ride! "Let's go!" Oh, it felt so good to be riding in a group again! What I especially like is not having to worry about the route, all I need to do is just follow the guy in front of me. What a sweet, little luxury that is, after years of having to focus on signs and GPS directions! I also like when we stop and chat about the ride, and then talk about bikes as well. So much fun! It's just been Neda and I for so long, it's great to be able to share the ride with other people! These guys weren't part of our group, we just pulled in behind them. 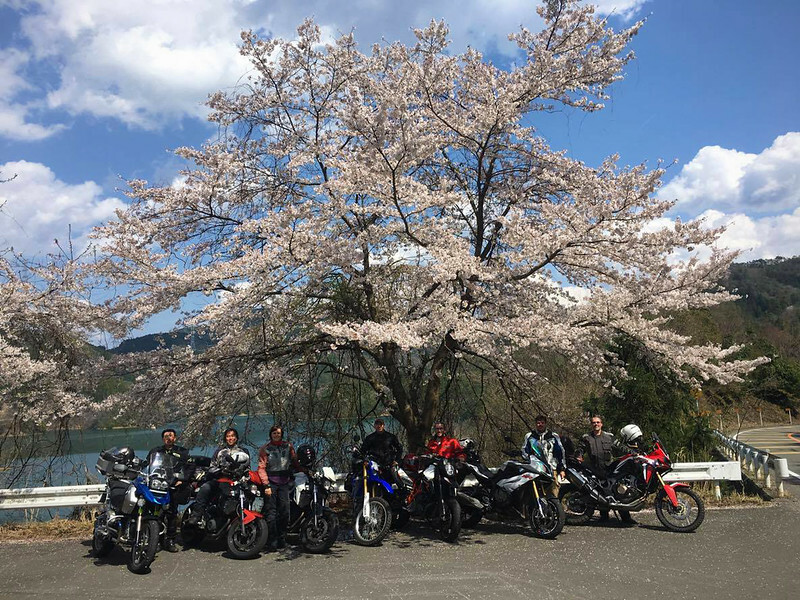 Just other Japanese bikers enjoying a ride in the sunshine! 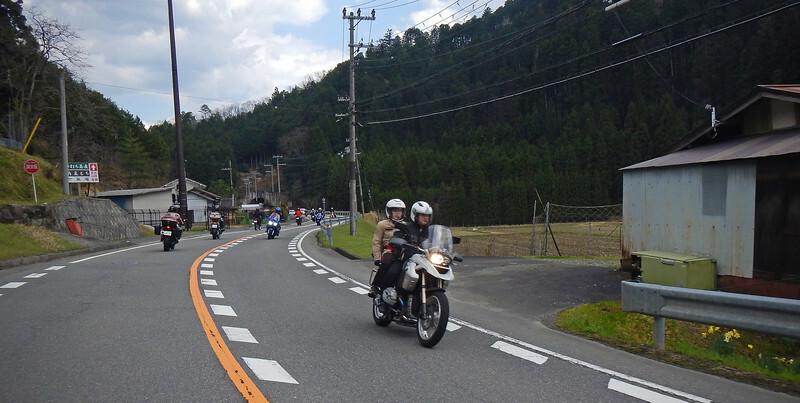 The Kansai Riders are a cool bunch of guys. This was their backyard and they were so knowledgeable about the route. We felt completely taken care of. 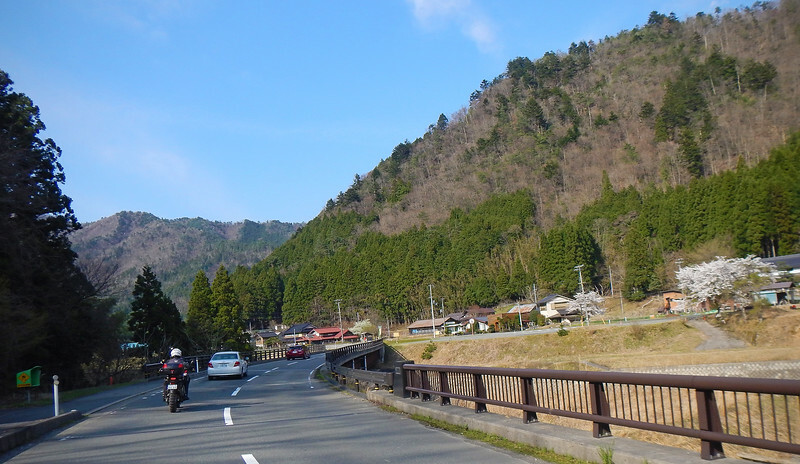 They showed us some twisty roads in the countryside. 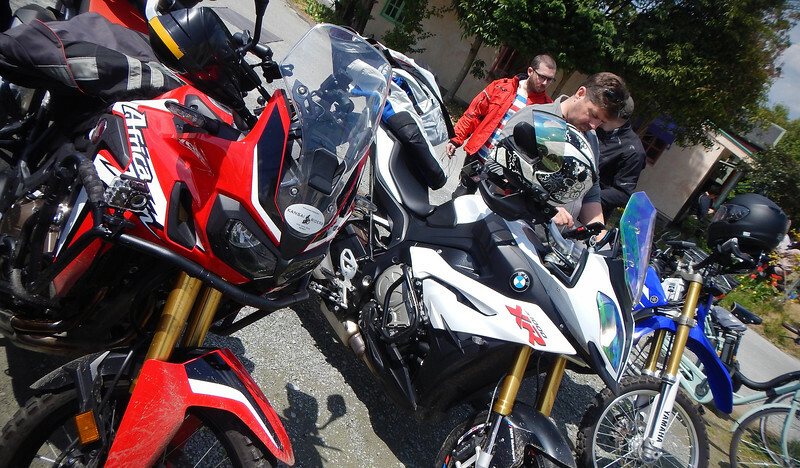 We quickly got to know who the fast guys were in the group, as they sped ahead and met up with us at the next stop. 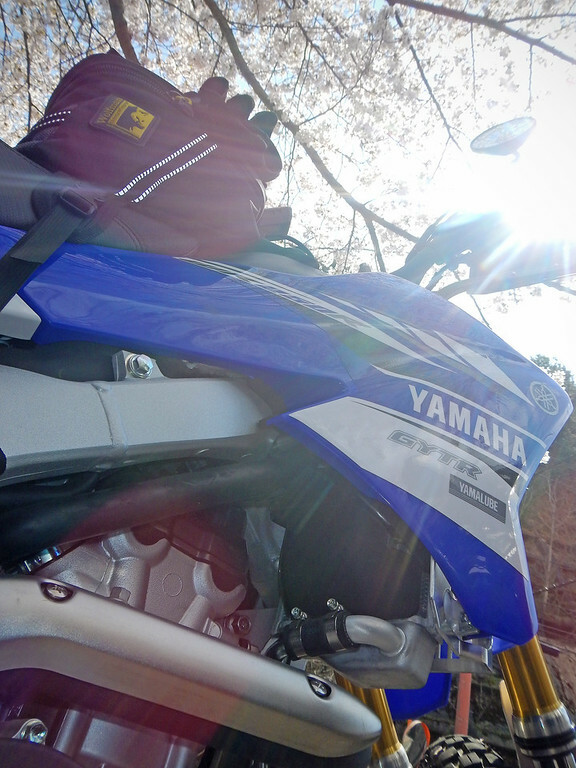 Robert's WR250R kept up with us just fine! 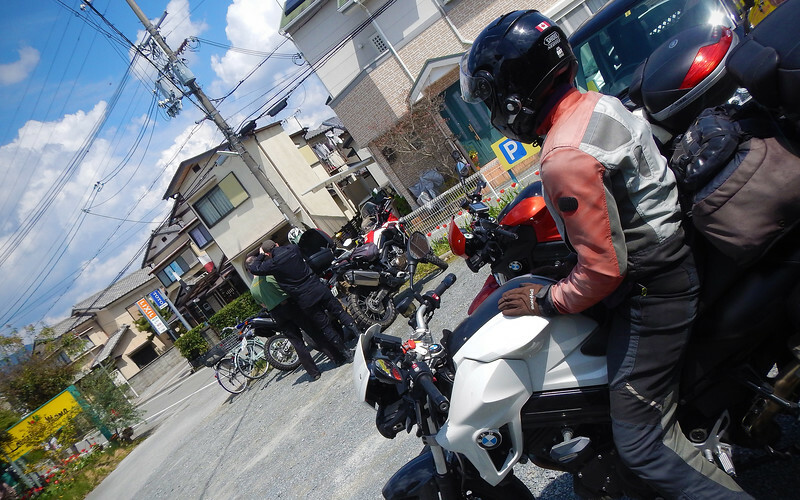 The Kansai Riders have a little pow wow once again and decide to take us to an ice cream place in Miyamacho next, north-west of Kyoto. Not just for ice cream, but because there are some good twisty roads around this one particular ice cream place. Zipping beneath cherry blossom trees. So awesome! 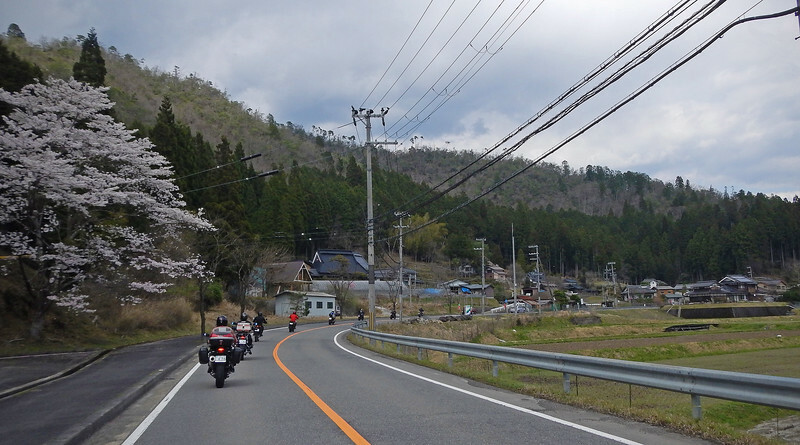 There are a ton of motorcycles riding in and out of this area. What's going on? 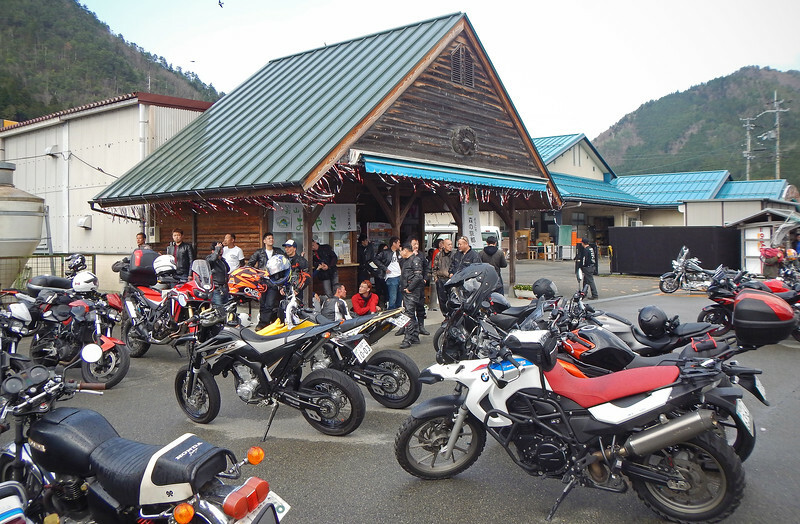 Hey, it's a motorcycle meet! Because of its proximity to the twisty roads in the area, this ice cream place gets inundated with hundreds of motorcyclists every weekend. We opt for the non-matcha ice cream, which contains less calories and won't make us fat. 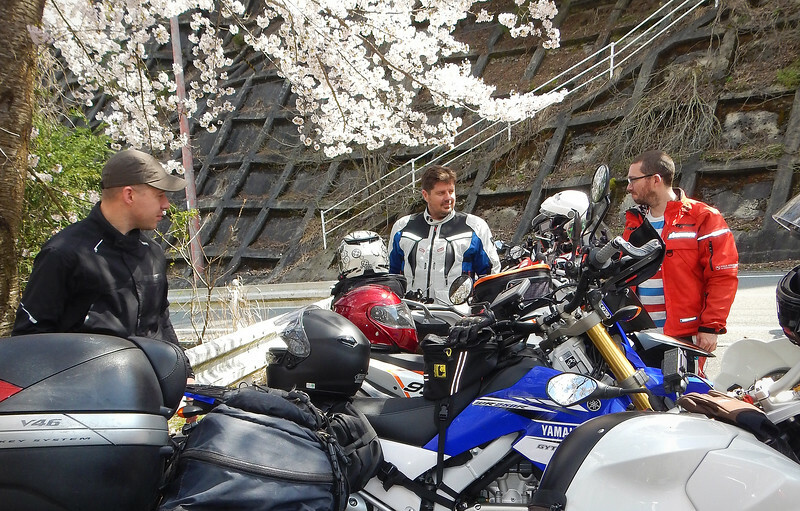 It was very cool playing Name-That-Bike as all the Japan-only motorcycles rolled in and out of the parking lot. I couldn't name half of them! 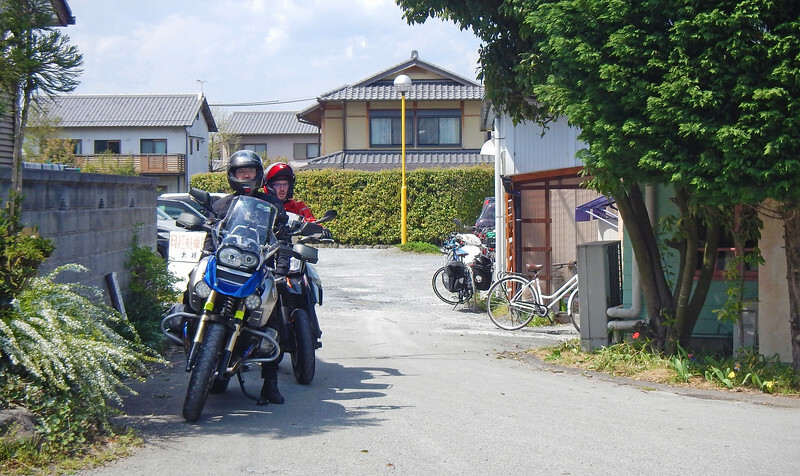 This was the turning-point for most of the Kansai Riders, so we said all of our fond goodbyes and thank-yous for the ride, and especially to Robin and Joy for hosting us. One of the guys, Tim, actually lives a little bit further on our route out of the ice cream place, so he volunteered to ride out with us. 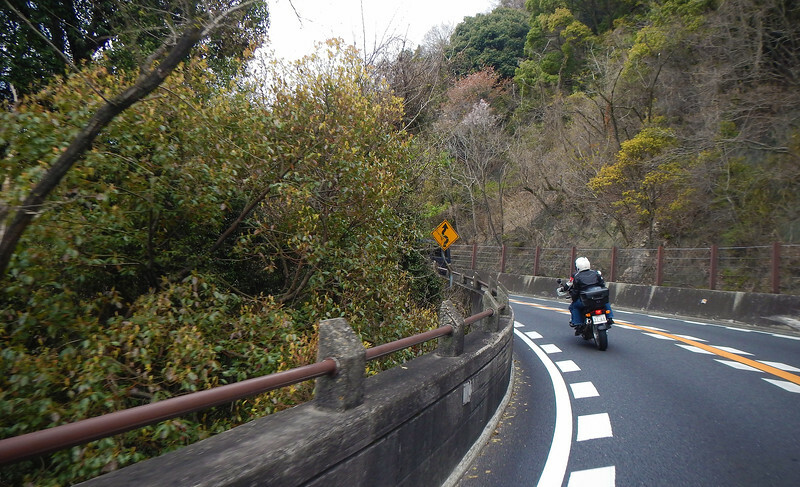 On the way out, he told us, "I know some fun back-roads, follow me!" 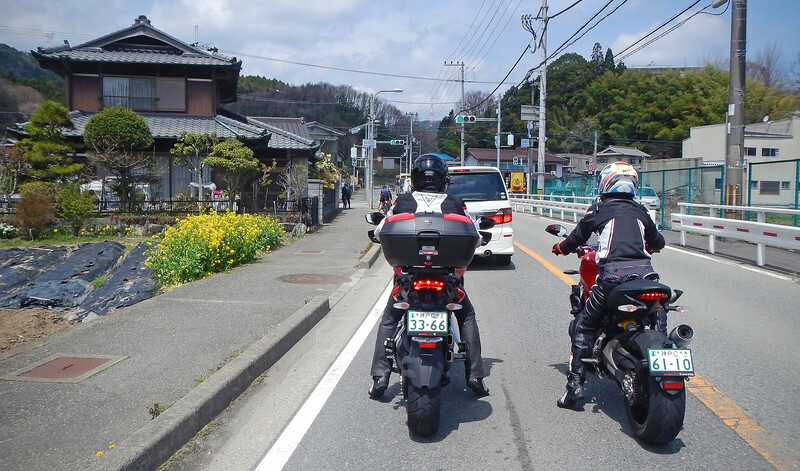 Remember I mentioned earlier, we found out who the fast guys were in the Kansai Riders group? To say that Tim is one of the fast guys is a gross understatement. Even the fast guys in the group say that Tim is The Fast Guy. And he was about to lead Neda and I, nicknamed "The Slow Ones", through the backroads. It went about as well (or as bad) as I thought it would. 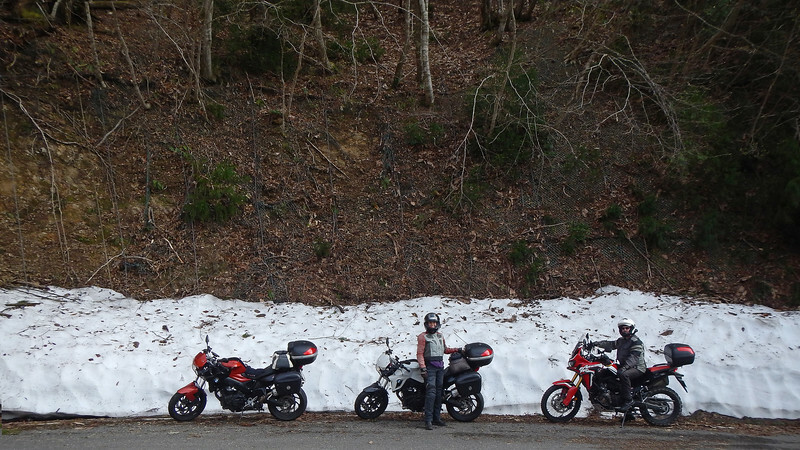 Tim was on an Africa Twin and his idea of fun backroads is going up into the mountains (OMG, there's still snow on the roads) and bombing down the torn-up, narrow paths cutting through the thick Kansai forest - perfect for a dual sport. 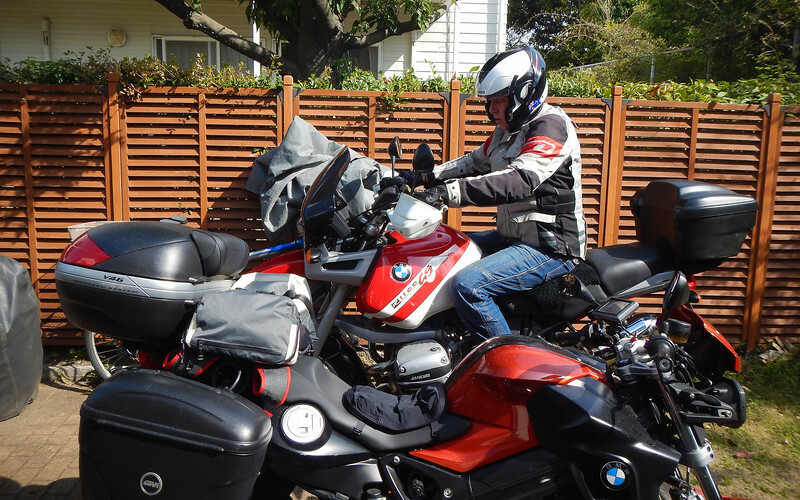 Our sporty-bikes were not the right tool for that job, the street-suspension bouncing us uncomfortably over bumps of the irregularly surfaced "road", smooth street tires offering no grip on the dirty road. What a most excellent day of riding!!! Thank you so much, Kansai Riders!